Here in this tutorial, we are sharing a details how to Enable Google Assistant on Any Android Marshmallow, Nougat devices. Google Assistant is one of the new features in Google Pixel Android Nougat devices. Currently, this feature is only available for the Google Pixel phones, but with some changes on your phone, you can easily use this feature on any Android devices whether it runs on Android marshmallow or Android 7 Nougat. If you are the Android Marshmallow user and want to install Google Assistant on your phone. Then you need a rooted phone with Xposed Framework. After that, you can easily activate the Google Assistant on your phone. Tested this method on our Oneplus 3 and it works like a charm. All credit goes to the XDA developers who comes with this new tweak to install the Google Assistant on any Android phone. 1. As we already mentioned above to get started, you need a rooted phone with Xposed Framework. 2. Once the Xposed Framework is installed on your phone. Download N-infy Xposed Module and install it on your device. And make your to enable this module on your Xposed Framework Module. 3. Once the module is activated Reboot your phone. 4. Now you need to download and install the latest Google Search App on your phone. If you are using Arm version then download this version of Google App. If you are using Arm64 version then download this version of Google App. 5. Once the app is installed. Go to Settings > Apps > Googe Apps > Select Storage >Manage Space and tap Clear All Data. 6. Now the Google Assistant is enabled on your phone. Hold the Home button for few second to activate the Google Assistant on your Android Marshmallow phone. 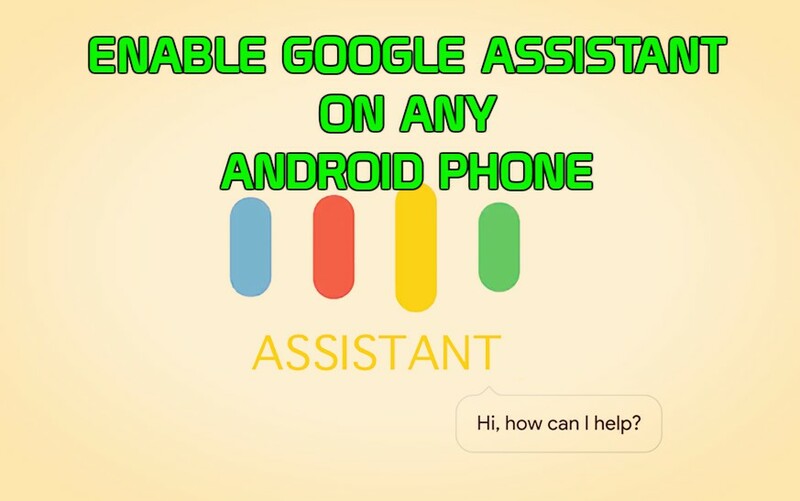 So with this method, you can easily Enable Google Assistant on any Android Phone. If you have any query comments below.